When I think back I’ve always been anxious. The oldest memory I have of being anxious was when I started school at 5 years old. Unlike the other kids who were so excited to get to ‘real’ school, I was clinging onto the railings for dear life begging my mum not to send me. I was worried about daft things but in the mind of a 5 year old these were mega! Where would I put my bag? What if I couldn’t find the toilets? What if I couldn’t find where I go for my dinner? What if the other kids didn’t talk to me? I was absolutely petrified. Nobody knew what anxiety was back then and my thought process pretty much stayed the same throughtout my life. When I started brownies I was the same and only lasted about 6 weeks because I ‘didn’t enjoy it’. Now I know I was probably riddled with anxiety. Obviously I decided I didn’t want to go anymore once my mum had bought the uniform! I was going to France on a PGL adventure holiday with school when I was about 12. Although I was really excited to be going, when the departure date got closer I started to feel physically sick at the thought of it. I didn’t know why and it was very confusing but when I think back I know it was definitely anxiety. I was worrying about the most ridiculous things and mainly the thirty odd hour journey on the coach to get there. What if the coach broke down? What if I get sat with kids I don’t know? What if I need the toilet and we don’t get any toilet stops? What if I get travel sick and throw up in front of everyone? None of these things happened and the journey was absolutely fine. In fact, a group of us spent most of it playing cards and having a laugh so the journey went pretty quickly. I’ve realised over the last 12 months that a lot of situations like this was due to anxiety and I sometimes feel like I missed out because of it. I didn’t go to a few of the school discos, I didn’t go to the meal they had when we left school (no proms in those days!) and when I did manage to get myself there I was riddled with anxiety. It was only when it was almost time to go home that I started to calm down and feel more relaxed. You’re probably wondering why I put myself through all this. I didn’t know why I felt like this and I was just doing what everyone else did. I wanted to fit in and be sociable like the cool kids 😎 sitting at home with a book or watching TV didn’t seem the thing to be doing back then. That same thought process stayed with me until well into my thirties! I left school with pretty crap GCSE results and my mum persuaded me to get a job through an apprenticeship which I did. Going from a school environment to a working environment was a pretty big culture shock for me and I struggled massively. By then even though I was only 16 I was already drinking regularly (my parents didn’t know this) and I was turning up for work late most mornings and usually hungover. Then I remember the Christmas parties. I didn’t go to most of them but when I did I would be tipsy by the time I got there. I’d had some Dutch courage to help with the nerves (I didn’t know anxiety existed back then. In fact, I don’t think I’d even heard of it). Over the years I struggled with anxiety and it was mainly affecting my work. My confidence was being battered and I didn’t have much self belief. I never seemed happy with what I was doing and jumped from job to job thinking I just hadn’t found the right place to work. I was also keeping a massive secret that I was absolutely not willing to tell anyone. I was basically living a lie, as a straight person. When I was 26 I decided I’d had enough and couldn’t cope with all this crap anymore so I decided to come out hoping that it would be the answer to all my problems. The fact I was struggling so much with life was obviously because I was living a lie. Everyone was amazing and I think most were expecting it anyway. It didn’t change anything really with the way I felt about myself. My drinking got worse over the years and so did my anxiety. I decided to seek therapy in 2007 as I was really struggling by now and having quite a lot of time off work because I just didn’t think I could cope with day to day life. I struggled with every day general tasks and I was so anxious about going into work I had to force myself through the door. One morning I even threw up all over the steering wheel when I got in the car and I was begging my partner at the time to help me as I thought there was something seriously wrong. I went to the doctors and explained some of the symptoms and when they occur. Straight away I was diagnosed with depression and anxiety and the doctor explained that the depression was because I was struggling to cope with the anxiety. It made complete sense and I felt a massive weight lifted off my shoulders because I finally knew what the problem was. It wasn’t just me being pathetic. Over the years I had lots of therapy with lots of professionals. Some worked, some didn’t but I think it all depends on how well you connect with the therapist. I’d always recommend CBT for anxiety as I was given some really good techniques which I still use today. I could go on forever writing about situatons I’ve been in where I’ve really struggled with anxiety but after years of trying to deal with it through alcohol I know I was only making it worse. Not only is alcohol a depressant, it also massively increases the affects of anxiety. I was prescribed Citalopram and continued to take it for 5 years without knowing it doesn’t work if you’re drinking so much. 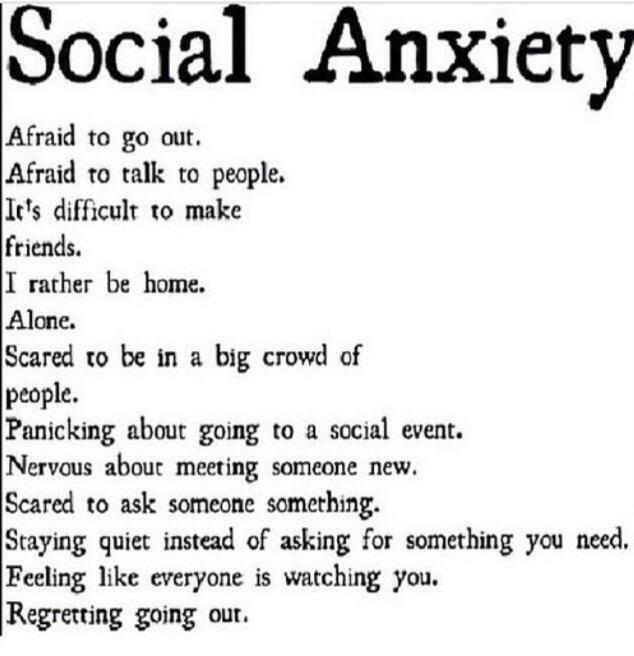 What I do know is, my anxiety is mainly social related. I’ve learned a lot about myself and my anxiety since I stopped drinking. I know the alcohol was making it 10 times worse than it actually is. I know it’s OK to say no when I’m uncomfortable with certain situations or social events. I know I’m fine and there’s nothing wrong with me. I know it’s because I just don’t deal with certain things as well as others. I know it’s OK to be introverted and I don’t have to ‘look’ sociable all the time. My confidence, self esteem and self belief have increased a huge amount since I stopped drinking and this is all because I’m dealing with my anxiety a lot better. I know what to avoid and I know what I’m comfortable with. I know my close friends and family will help once I explain how I feel about something and this also helps them understand. This is something that took a while to get my head around as not everyone understands anxiety. I do believe if we share our stories we can all help each other. I’ve learned a lot from other people’s blogs and that’s partly why I carry on writing about my issues. Even if I help one person then that would make it all worth while. Thanks for reading and enjoy the rest of your Sunday. Previous Going sober for October? After I stopped drinking, my social anxiety got worse. I then realized how much I drank to calm that! Now, it’s so much better!